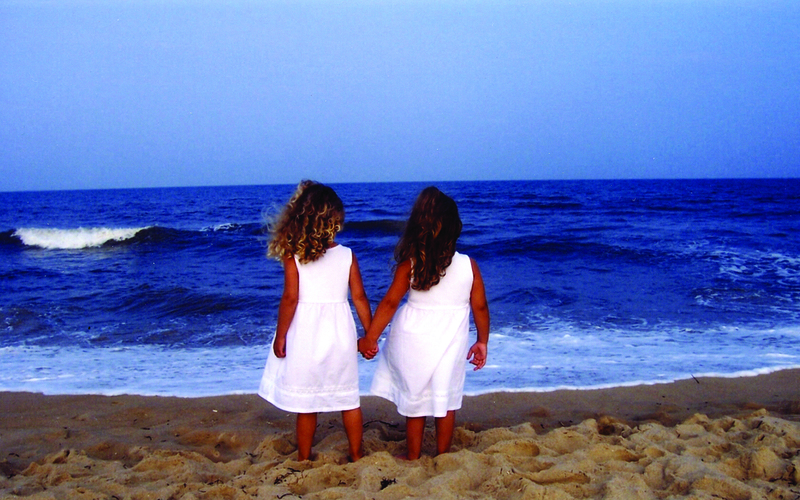 Believe In Tomorrow’s respite program at the beach in Ocean City, MD, has been the pillar upon which we’ve built our overall respite housing program. The Children’s House by the Sea was constructed 15 years ago, but we began offering critically ill children and their families a sanctuary at the beach long before that. By 1986, Brian Morrison and a small group of volunteers had created the Believe In Tomorrow Children’s Foundation and had been working for four years to bring comfort and joy to critically ill children and their families. They helped fulfill special wishes and created some of the nation’s first support groups for teens with cancer, but Brian felt these children also needed a reason to look beyond their illnesses… a reason to believe in tomorrow. After meeting with community groups and garnering support from businesses in Ocean City, MD, the Foundation rented an oceanfront condominium that was made available, free of charge, to families all season long. Encouraged by the successes of their first year at the beach, and a nearly 100% occupancy rate, the group expanded the program to three units in 1987. The following year, they grew to six units and were able to offer a host of new and fun activities through strengthened relationships with local businesses. While there have been key individuals who were integral to Believe In Tomorrow’s accomplishments at the beach, it has been unwavering support from a generous community of volunteers and donors that has kept our program so vibrant. Believe In Tomorrow now owns and operates beach facilities in Maryland and Delaware and mountain home facilities in Maryland and North Carolina. Our flagship respite house, the Children’s House by the Sea in Ocean City, was constructed in 2000. The five-unit condominium complex has since served as a model for our other respite homes. It was at this location where we developed our Monday Night BBQs to introduce new families and began offering fun and unique activities like boat rides, surf lessons, amusement park passes, restaurant gift cards, and sight-seeing tours (to name a few). The successes we experienced at the Children’s House by the Sea propelled the construction of the respite homes that followed, but none of those achievements would have been possible without the help we received from all of our loyal supporters along the way. Our Gala by the Sea event is held in Ocean City and is a time when we appreciate our past and prepare for another exciting summer. In honor of the 15th year anniversary of the Children’s House by the Sea, we’ve invited very special guests and have some great new activities planned for this year’s Gala. We’ll hear from families that have stayed with us at the beach and have since ‘graduated’ out of our programs. We also have planned a great auction (with a chance to bid on a jet ski! ), a delicious dinner, a red carpet runway, and the award-winning mentalist duo, the Evasons! Click here to learn more and purchase tickets for the 2015 Gala by the Sea!